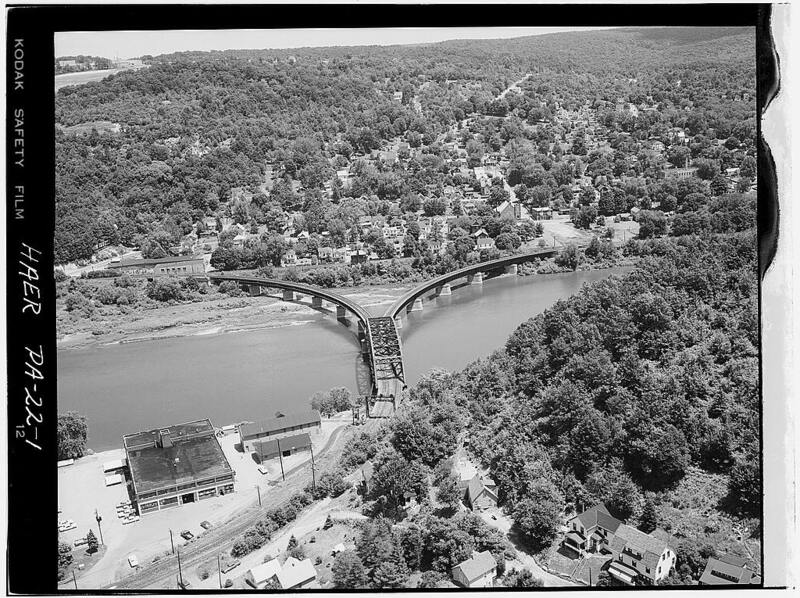 The Wye Bridge crosses the Allegheny River in Oil City, Pennsylvania and carried the Pennsylvania Railroad’s Pittsburgh to Buffalo mainline. 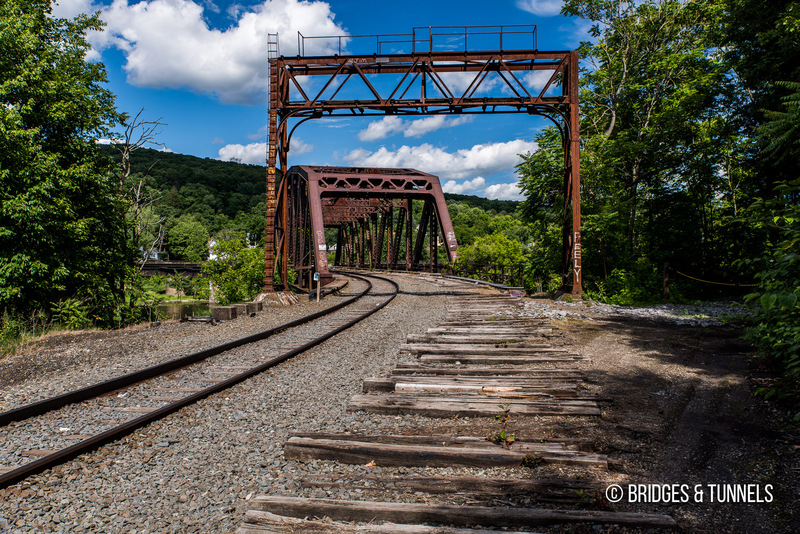 It is still in limited use by the Western New York & Pennsylvania Railroad. The discovery of vast amounts of oil in Venango County, Pennsylvania in 1859 led to the first oil boom in the United States. 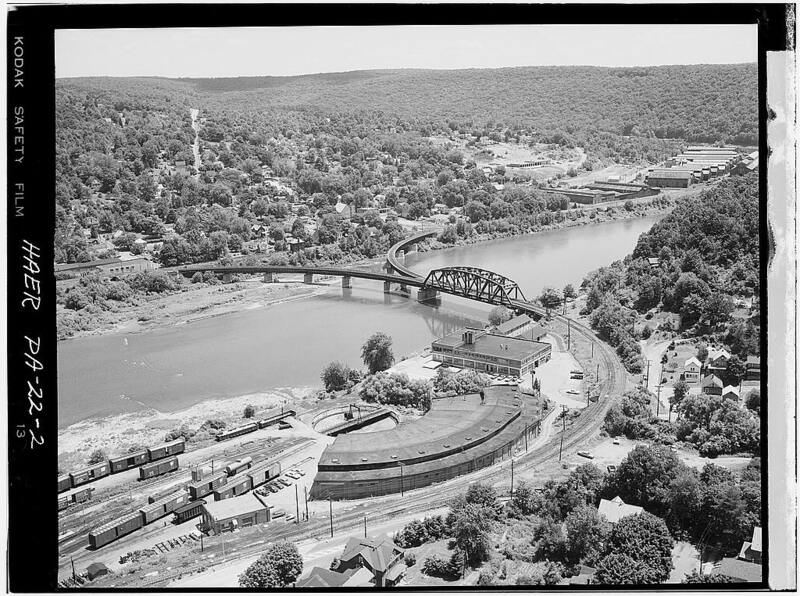 Central to that was Oil City along the banks of the Allegheny River. 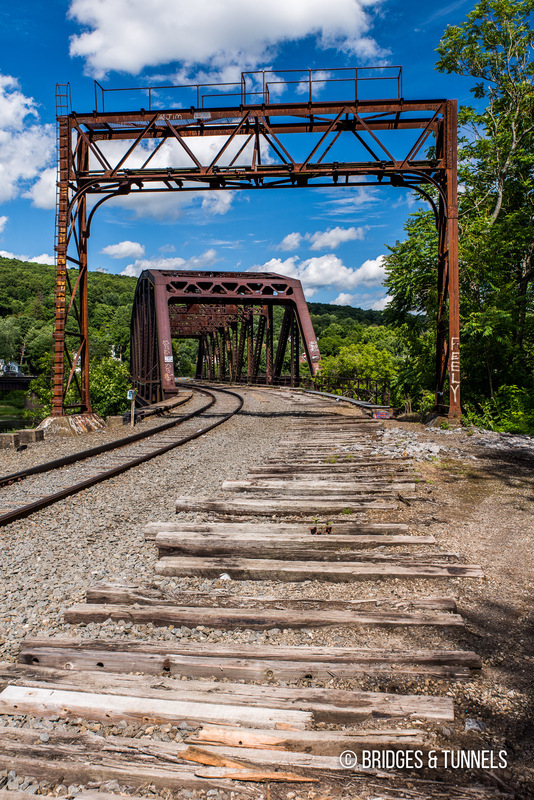 The first railroad to extend north from Pittsburgh along the Allegheny was the Pittsburgh, Kittanning & Warren Railroad (PK&W), incorporated in April 1837. 7 The line was never very profitable and fell by the wayside. After the discovery of oil in Venango County, Pittsburgh refiners were anxious to tap into the newfound reserves while bypassing the Atlantic & Great Western Railroad (AG&W) and the Pennsylvania Railroad’s (PRR) Western Pennsylvania Railroad (WP). The PK&W was revived in April 1852 when investors secured an amendment to the original charter so that the renamed railroad, the Allegheny Valley (AV), could construct a line that connected Pittsburgh to the New York & Erie Railroad at Olean, New York, with access from there to Buffalo. 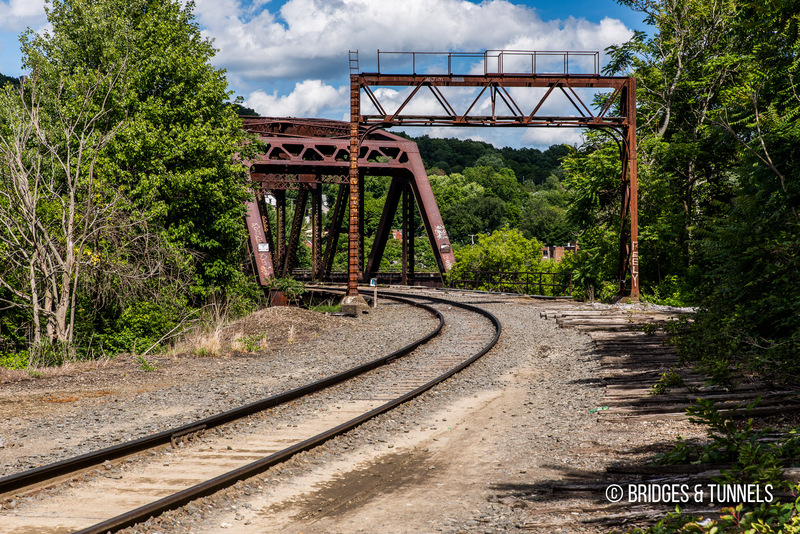 7 Construction began on the extension in March 1854 and by January 1856, tracks were laid as far north as Kittanning, 44 miles north of Pittsburgh. By the early 1860’s, oil producers in the Oil City and Franklin areas were transporting over two million barrels of oil per year to oil refineries in Cleveland and Pittsburgh, slamming the A&GW and the WP with significant traffic. 6 Flush with new capital, work resumed on the AV in 1863, and by January 1865, the company authorized the completion of the line to Oil City. 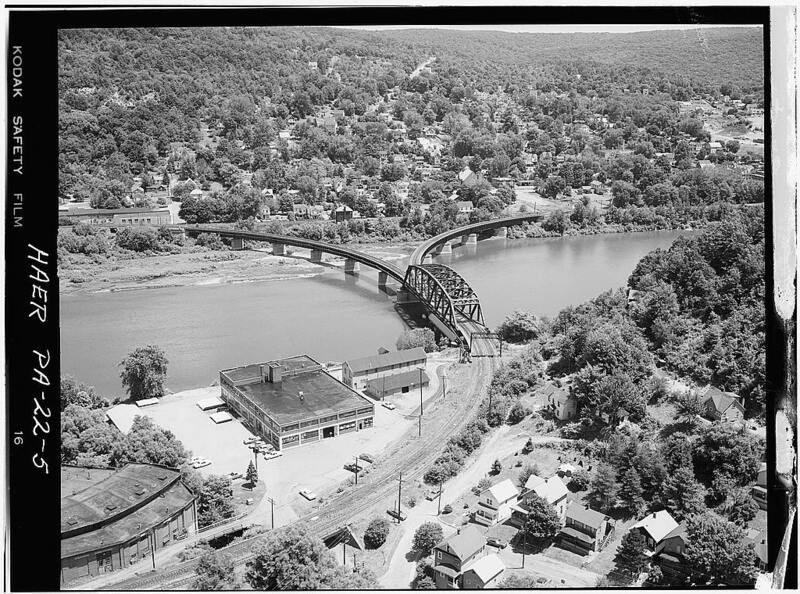 7 The AV had reached Venango City on the east bank of the Allegheny River, opposite Oil City, in December 1867. In 1968, the PRR merged with the New York Central to form Penn Central (PC). The Pittsburgh to Buffalo mainline eventually fell to Conrail in 1976 who operated it as their Allegheny Secondary. In 1984, Conrail abandoned much of the route north of Emlenton and south of Emlenton 8 after an oil refinery closed. 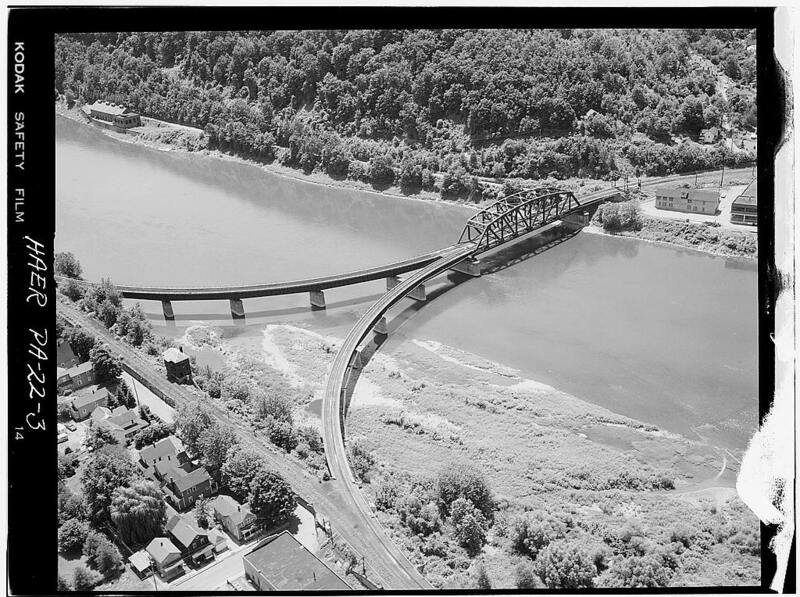 A small segment in Oil City, including the Allegheny River bridge, was left in place to serve a factory. “Hearing On New Bridge Scheduled.” Oil City Derrick, 29 Oct. 1928, p. 2. “Expect P.R.R. Bridge Approved Within Next 60 Days.” Oil City Derrick, 18 Jan. 1919, p. 1. “Bridge Site is Inspected by Visitors.” Oil City Derrick, 22 Sept. 1928, p. 3. 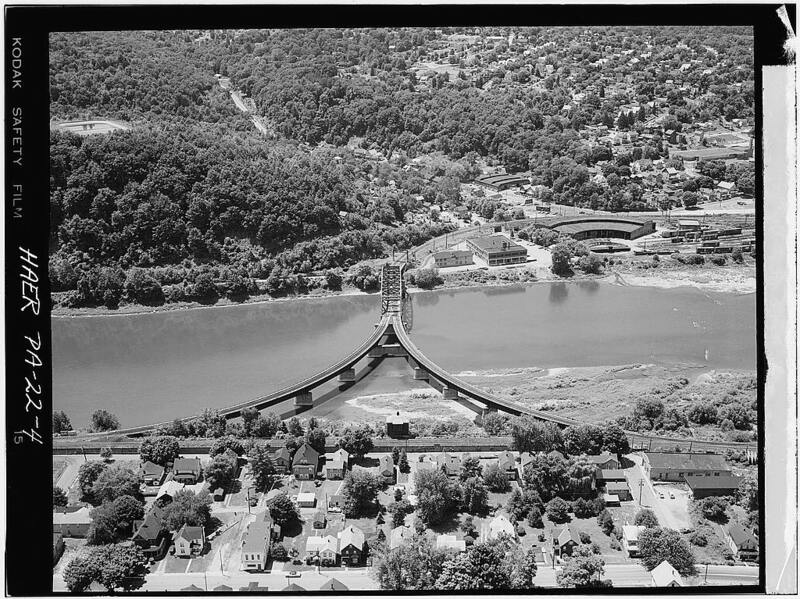 “Hearing On New Bridge Scheduled.” Oil City Derrick, 20 Oct. 1928, p. 2. Baer, Christopher T. A General Chronology of the Pennsylvania Railroad Company and Its Predecessors and Successors and Its Historical Context. Apr. 2015, article. Churella, Albert J. “New Routes to the Oil Fields III: The Allegheny Valley Railroad and the Low-Grade Line.” The Pennsylvania Railroad, Volume 1: Building an Empire, 1846-1917, vol. 1, State College, University of Pennsylvania Press, 2012, pp. 311-12. Muller, Christopher. “Allegheny Valley Railroad Tunnels.” Steamphotos.com, article.